Budget Hotels > Travel Blog > Destinations > Lucknow > 11 Things to do in Lucknow for every foodie, shopaholic and history buff!! 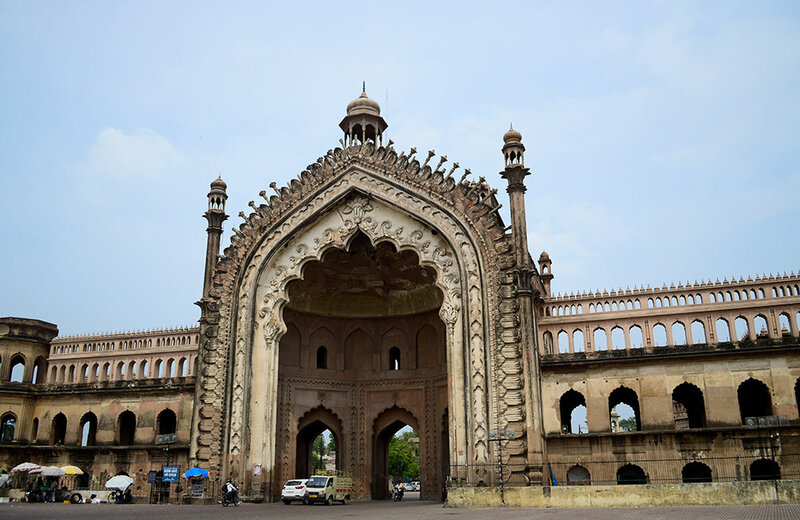 With magnificent forts, Mughlai cuisine and memorials that will take you back in days of yore, Lucknow is a city that has a surprise awaiting you at every bend of the street. Pleasant surprise that is! And if you ever get lost in this big and beautiful city, don’t shy away from asking the amiable locals your way around because you won’t find such ‘tehzeeb’ anywhere else in India. 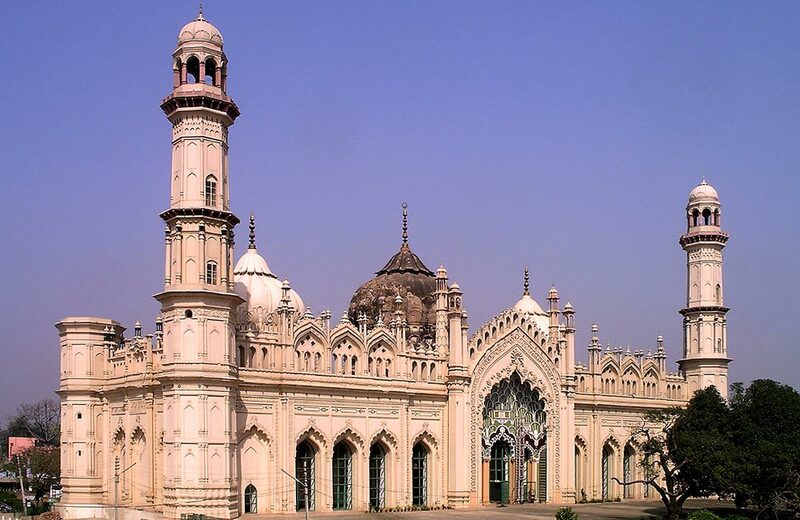 A kaleidoscope of modern structures and British-style markets and squares, Lucknow is an explorer’s delight. 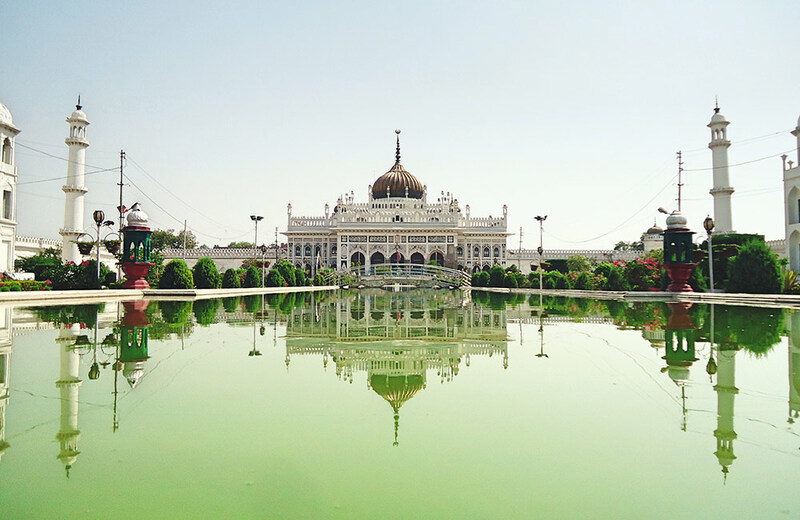 In Central Lucknow, you will find large and meandering boulevards, dilapidated yet insightful monuments, gardens along with a generous number of stalls serving delectable kebabs. If the grandiose of this particular region impresses you, wait till you read about our list of things to do in Lucknow. From rubbing some ittar on your wrists to devouring succulent tunday kebab, the city has everything to charm you. The famed archways of Rumi Darwaza stand tall and in all its grandeur to this day; despite the extra fittings of iron and steel to support its magnificent structure. 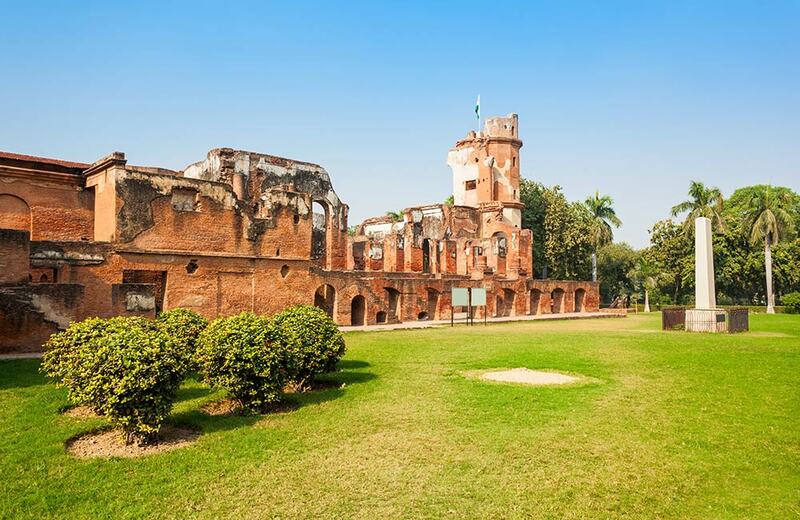 Built in the year 1784, it is one of the most impressive historical places in Lucknow. Akin to the grand entrance gates of Constantinople (present day Istanbul), the Darwaza is an exemplary portrayal of Awadhi architecture, complete with its flowers and other intricate detailing. The entire structure is 60 feet tall and has a tower space where once lanterns used to light up at night to illuminate the pathway below. While you can always visit it during the day, visiting it at night is one of the must-do things in Lucknow. On full moon days, the sight is even surreal. P.S: Were you also thinking the name had to do something with the famous Persian poet – Rumi? Well, the name of the gate has nothing to do with him but with the fact that the word ‘Rumi’ is related to Rome. Muslims used this term to refer to the city of Istanbul back in the days when it was Byzantium – capital of Eastern Rome. Fascinating, huh! Remnants of colonisation can be seen in almost every part of the country. From the names of many streets to structures and terminals, but Bara Imambara is one iconic monument which is a true example of Mughal and Awadh architecture, devoid of any influence from the European elements of buildings. You can enter this humongous complex through two gates, both merging to the same colossal courtyard in the middle. Spend an entire day exploring its large courtyards, impressive gateways, intriguing step wells or simply bow down to Allah at the mosque. The central hall of the Imambara is one of the largest (15 meters in height) in the world. One of the hallways from this courtyard leads you to the famous labyrinth – Bhool Bhulaiya. Do keep your flashlights if you march ahead and wish to explore the alleys and 489 similar-looking doors. If you are fortunate enough to find your way out of this maze (and to the top), you will be blessed with a stunning panoramic view of the entire city! It is also believed that the entire complex had hidden tunnels and pathways with treasure trunks. Now you know what to keep an eye out for. 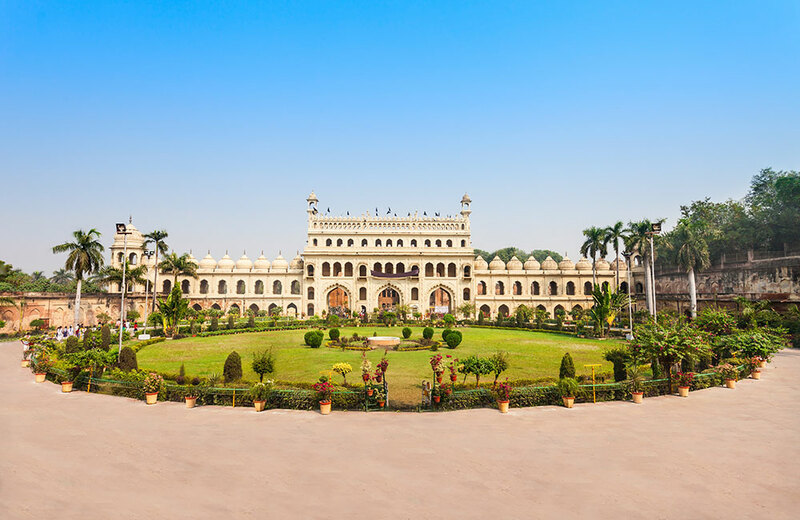 Apart from these marvels of it, there are several other elements of this Imambara which make it a must visit place in Lucknow. Feeling weary while exploring the city? Here is our reference for the best restaurants in Lucknow. One cannot just visit Bara Imambara and leave Chota Imambara out of their itinerary. Visiting this place will always remain one of the best things to do in Lucknow. An elaborate and beautiful complex, it 19th-century complex houses the tomb of Muhammad Ali Shah. One can spend a couple of hours admiring the detailing and calligraphy on the walls. Among all the other priceless artefacts, the red crown and silver throne of Muhammad are the most fascinating. The complex also has a garden, a water tank and two replicas of the grand Taj Mahal. While you will find many interesting things to see here, do check out the Clock Tower opposite the Imambara. And if you are into picture galleries, there is the famous Hussainabad Picture Gallery close to the complex. Not one of the most famous places to see in Lucknow, but the gallery has large and beautiful portraits of Nawabs. Fashioned out of an erstwhile summer palace, it overlooks an artificial lake making this place extremely picturesque. For a list of hill stations near Lucknow, click here. If history is your thing, especially the time pertaining to the rebellions that stirred patriotic nationalism, you cannot miss out 1857 British Memorial, an integral part of The Residency. 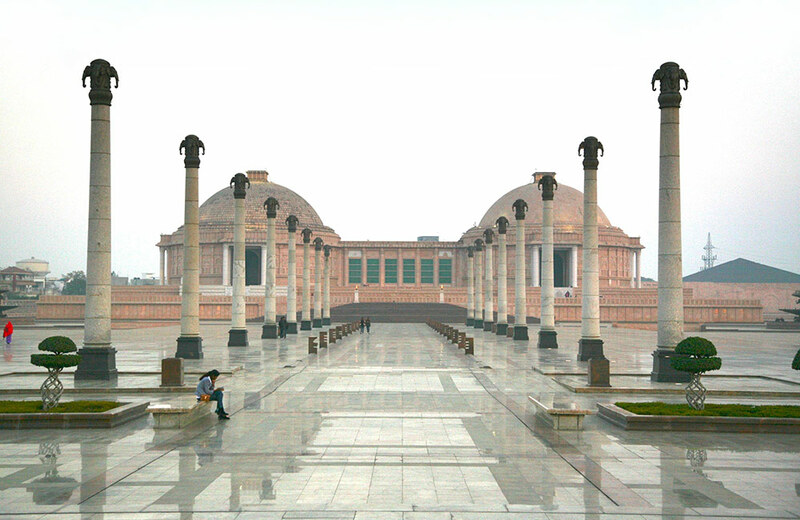 Part of the top things to do in Lucknow is visiting its planetariums, memorials and museums. And what better way to take a stroll back in time than visiting these monuments? The gardens and various ruins of the structures inside this large complex is where everything started. The Uprising of 1857 started the First War for Independence from the British Raj. The Siege of Lucknow was an imperative part of that uprising and it took place here. The entire episode unfolded over 147 days claiming thousands of lives. The Residency has not been renovated or modified in any form to restore the past and remind you of all that took place here. The bullet marks and cannon ball marks on the walls will never let you forget. The museum inside the main complex is open to the public and the place that will answer most of your questions related to the Independence struggle, specifically this period. Intergalactic stars and universe excite the space nerd in you? The next place to visit in Lucknow will be the Indira Gandhi Planetarium. 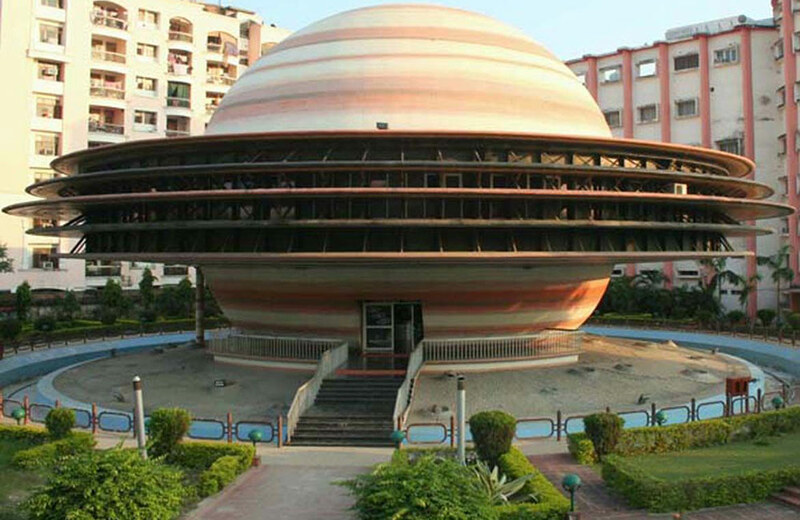 Unlike other planetariums all over India, this one is built to imitate the planet Saturn. Yes, you read that right. The architecture of the entire structure was designed in a way that it resembles this beautiful planet, complete with all its outer rings. Opened in the year 2003, the planetarium is not only popular among school children but youngsters and tourists as well. Given their air-conditioned complex with a state-of-the-art projection system, you will feel like you have been transported to outer space. Their daily screenings and shows are a must see thing in Lucknow for anyone who wants to know more about our endless, vast and mysterious universe. While the museum is open from 10 AM – 5 PM. The screenings take place at 1 PM, 3 PM and 5 PM. For other historical places in Lucknow, click here. Ambedkar Park is built entirely of red sandstones bought all the way from Rajasthan and has colossal statues of various leaders who devoted their entire life to humanity and social service in quest of greater good. Some of these statues are of Narayan Guru, Jyotirao Phule, Kanshi Ram, Birsa Munda and Bhimrao Ambedkar. While you can spend some time gazing at the humongous statues, the museums and galleries shouldn’t be ignored. However, what has become the major USP and attraction point of this place are the 62 statues of elephants erected just at the entrance. Home to 447 mammals, 57 reptiles and 347 bird species, Lucknow Zoo and State Museum is a popular tourist attraction of the city. The zoo is imperative in educating the locals, especially school children, about the importance of looking after nature and maintaining ecological balance. 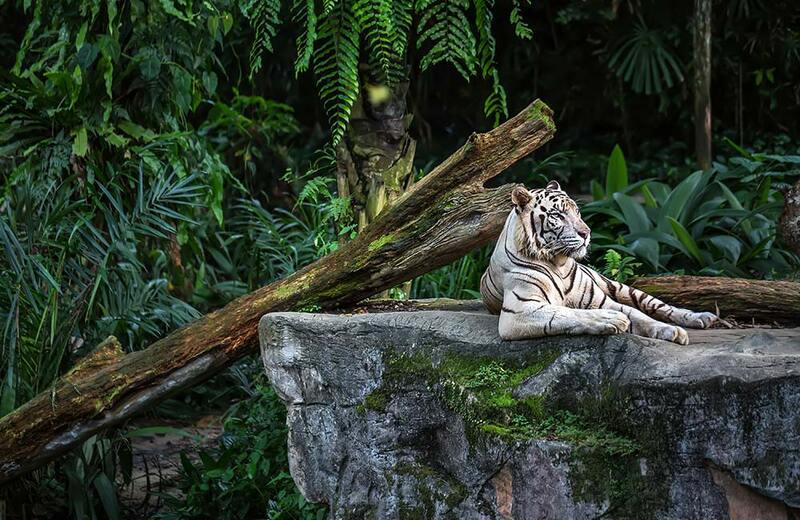 Royal Bengal Tiger, Indian Rhino, Wolves and Himalayan Black Bear are among the many wild animals that you will find here. The ‘Touch Table Program’ is one of the most noted endeavour of the zoo to teach people about the skins of animals and other such important things. It takes place inside the zoo every Friday. After exploring the zoo, you can spend some hours in the State Museum, an integral part of the Zoo. Unlike what you may expect, the museum offers a glimpse in the history of this city. Here you will find relics dating back to the 3rd century AD. Various sculptures and statues of dancing girls have also been preserved here. The museum remains open from 9 AM to 6 PM. Spread over 4,950 sq. m, Jama Masjid is one of the prominent mosques in the city and a place you cannot afford to miss. Commissioned by Sultan Ahmed Shah, the mosque has been standing tall since its completion in the year 1423. A beautiful spectacle, it has been constructed entirely out of yellow sandstone. The mosque has many elaborate carvings and intricate detailing that will mesmerise you for sure. Among the best 10 things to do in Lucknow, eating and shopping will always remain at the top. And this is why we just cannot complete this list without giving you some relevant and interesting information about all the things you have to shop for when in Lucknow. Of course, we will tell you where to shop for them as well. 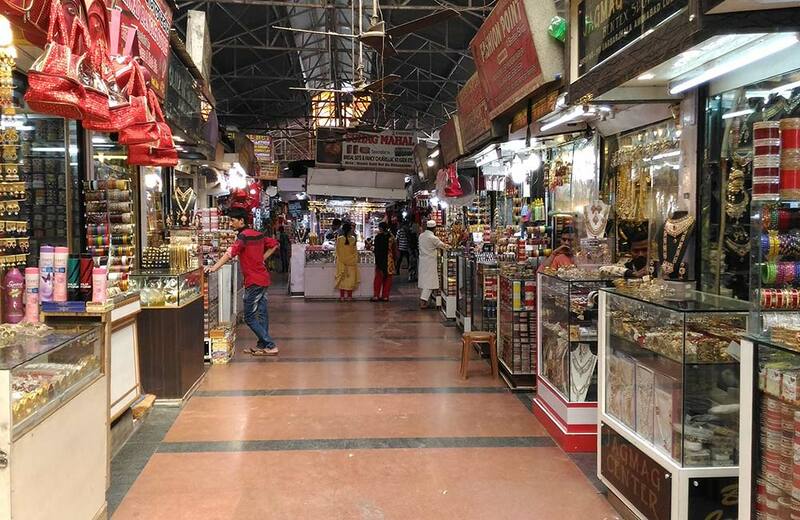 From the exquisite chikan work and ittar at Hazratganj and sarees, suits and lehengas at Aminabad to lamp shades and other home décor items and nagra footwear at the Chowk (close to Bara Imambara), the City of Nawabs has it all for the shopaholic in you. And now to the most important section of the entire blog – famous dishes in Lucknow that you have to try! You know, it won’t be worth all the shopping and other fun activities you do in Lucknow, if you cannot boast about gorging on tunday, galawati or galoti and kakori kebabs. In fact, people might refuse to believe that you went to Lucknow, if you tell them you did not try these dishes. Of course, you will come across a hundred different variations if you venture out on an exclusive food trail across the city. Every piece will literally melt-in-your-mouth because it has a labour of love. Minced meats make up for the soft filling while the exterior crust is mostly crispy. You can have these with rumali roti or sheermal. The latter is a sweetened version of the popular naan and is a Kashmiri dish. 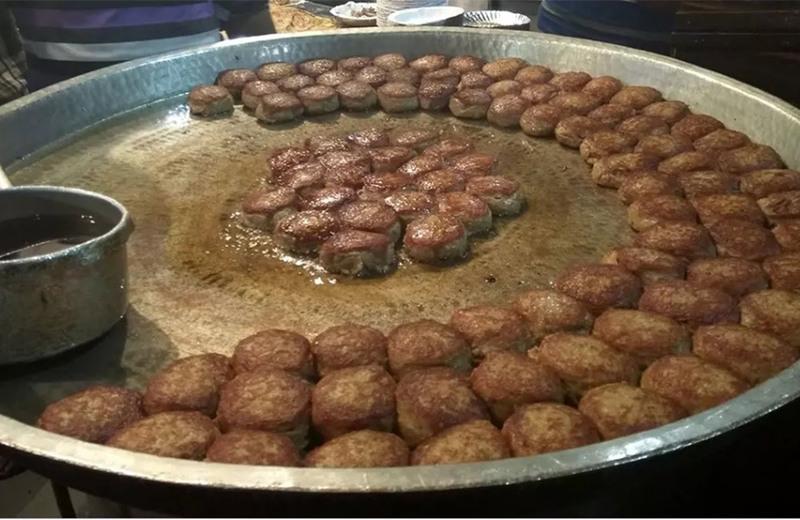 Hazratganj, Aminabad and Chowk has several stalls that will cater to your stomach. Read to know more Awadhi dishes of Lucknow here. While this 10-day-long extravaganza of culture, art and cuisine will need its own blog, let us surmise it for you. Usually taking place in the month of November, visiting this colourful fiesta is one of the most important things to do in Lucknow, if you visit when it is happening. You will feel like the entire city has been brought together and you can find a bit of every integral element of the city in this single festival. 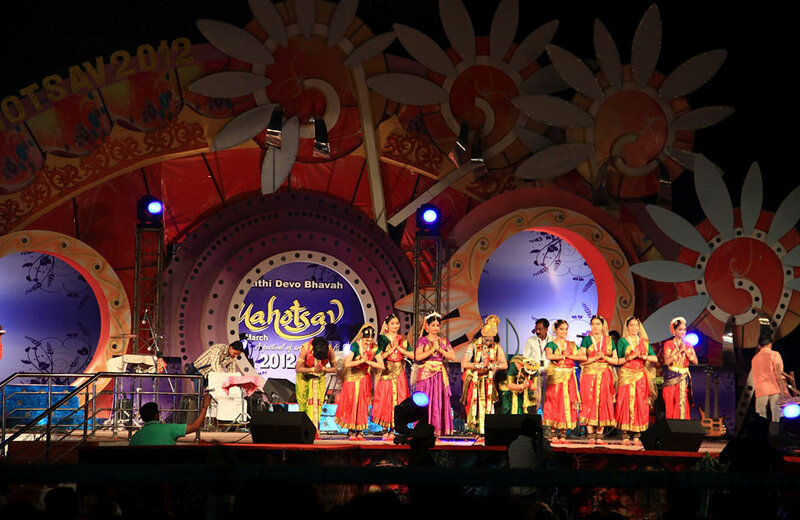 Organised jointly by the Lucknow District Administration and Uttar Pradesh Tourism Department, the Mahotsav not only has many celebrities coming to perform and engage in live discussions but has also become a stage for the local craftsmen to showcase their work. From the spellbinding kathak performances musicals recitals and qawalis on several nights, there is a lot for a dance and music lover here. While the performances and the debates have all their own charm, the real crowd-puller is the array of shops and food stalls. You can relish on all types of street food here. So, if you love all this and want to spend some time soaking in the city’s grandeur, and tehzeeb and nazakat, we recommend you take out a week or more and explore it fully. If you are done with all these and have more time in hand, visit the water parks in Lucknow for a whale of a time.